As preparations for the US Masters get underway this week, Adam Scott, the only Australian to take home a green jacket from Augusta, has confirmed he will tee it up at this year’s Australian PGA Championship. Scott will headline the tournament which will be played from 19-22 December at RACV Royal Pines Resort on the Gold Coast following the Presidents Cup in Melbourne. 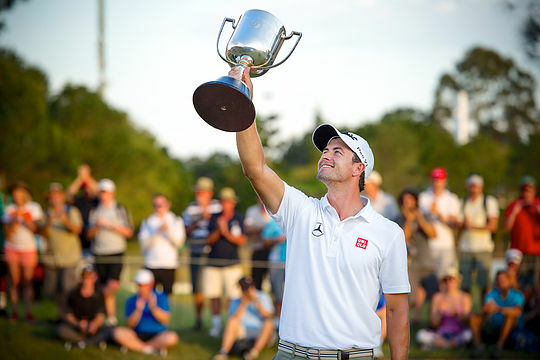 Scott has regularly delighted sports fans in his home state of Queensland playing the Australian PGA Championship 13 times in his career and recording seven top-10 results including his 2013 victory and 2014 runner-up finish. The Australian PGA Championship will be played at RACV Royal Pines Resort from 19 – 22 Dec with general admission to the Australian PGA Championship is $25 with children, 16 and under, granted free admission when attending with a paying adult.